MANILA - China is ready to give the Philippines weapons to help President Rodrigo Duterte wage his controversial war on drugs which has claimed over 5,000 lives, the Chinese ambassador to Manila said. Beijing has previously said it supports Duterte's bloody crime war, which has been slammed by the United Nations and human rights watchdogs over alleged extrajudicial killings. Beijing and Manila have experienced a rapprochement since Duterte's election in May, despite their conflicting territorial claims to the South China Sea. 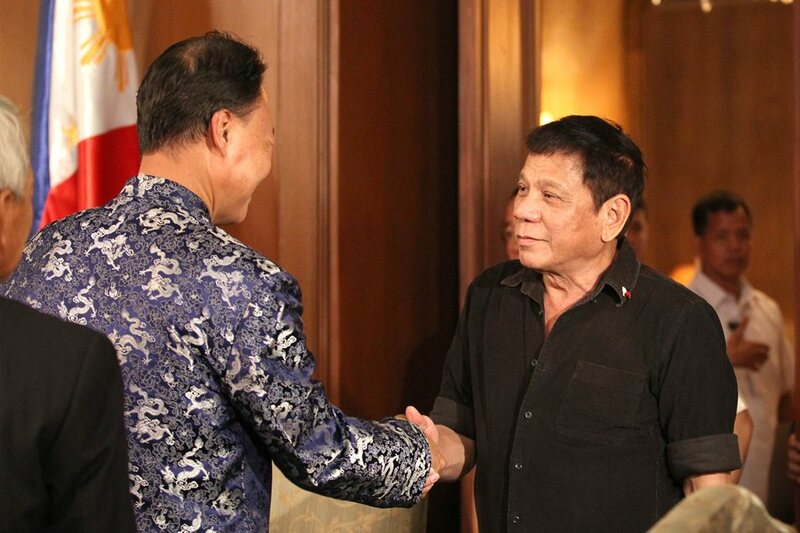 Ambassador Zhao Jianhua, in remarks late Monday, confirmed China was ready to supply the Philippines with weapons. "We're exploring the possibilities of providing arms, light arms," Zhao told reporters. "Arms for fighting against terrorism, (for the) anti-drug campaign." The ambassador said talks were still in the initial stages, adding there was no agreement on price or the specific type of weapons, though they would most likely be rifles. Duterte, 71, won the elections on a pledge to kill tens of thousands of criminals to fight narco-politics in the Philippines. Since he took office the crackdown has claimed over 5,000 lives. The firebrand leader has also distanced the Philippines from longtime ally Washington, announcing his country's "separation" from the United States on a visit to the Chinese capital in October. The Chinese ambassador noted bilateral relations were "good" and were "going to be better" still, "because your president paid a very fruitful and historic state visit to China". Duterte has also hit out at US President Barack Obama and the State Department for criticism of his drug war. However, according to Manila, incoming US leader Donald Trump has taken a different tact from Obama, apparently praising the crackdown when he spoke to Duterte by phone this month. On Sunday, Duterte said China was ready to supply the Philippines with arms under generous terms. "It is a grant payable in 25 years so it is practically giving," Duterte said in a speech. He recently cancelled an order of about 27,000 assault rifles from the US after media reports that human rights concerns over his crime war would affect the delivery of the weapons.